Pro Evolution Soccer, or as it’s popularly known, PES, will get its 16th game this year on 15th September. With only a month away from release, Konami has said that starting this year, PES 2017 will get its own eSports league called the PES League, with access to official PES matches. This is a task which even FIFA hasn’t taken up. This is primarily due to the rise of the eSports scene all over the world and has taken over many games which were previously considered ‘casual.’ This is also the first time a football game is having a competitive mode. “As the PES series continues to go from strength to strength, we are exploring a number of ways to build its reputation within the eSports sector,” said Jonas Lygaard, Konami’s Senior Director of Brand and Business Development, regarding the move. 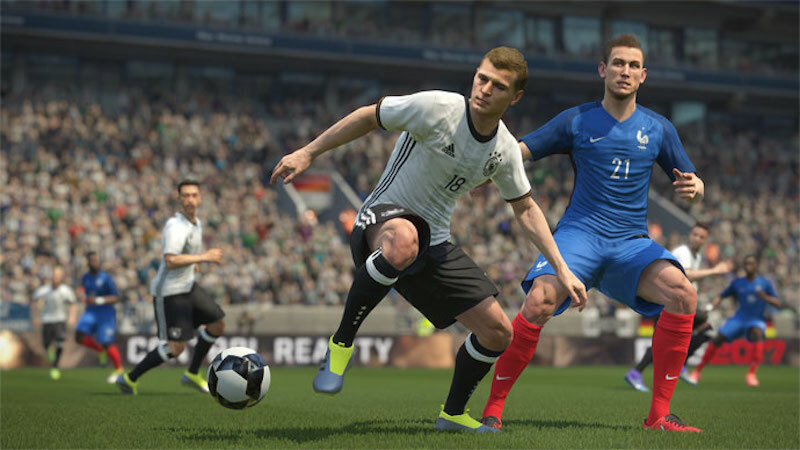 “Later this year we will be integrating the hugely popular PES League element as a dedicated mode within PES 2017 and future iterations, allowing organised competitions to become easily accessible to absolutely anyone owning a PES title,” he added. Judging from the trailer, PES 2017 is going to have more commentary languages, the touches, dribbles and passes seem to look much more refined and we finally have more English clubs. Looks like we have a real competitor on our hands for the title of the best football simulator.